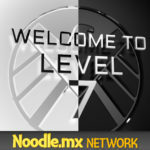 http://media.blubrry.com/w2l7/p/media.blubrry.com/noodlemx/p/welcometolevelseven.com/wp-content/podcast/WTL7_269defenders.mp3Podcast: Play in new window | DownloadIt’s been called “the greatest Iron Fist episode of all time!” It’s . . . the third episode of The Defenders!!! Join Ben and Stewart as they discuss the episode that brings the group together! http://media.blubrry.com/w2l7/p/media.blubrry.com/noodlemx/p/welcometolevelseven.com/wp-content/podcast/WTL7_265CloakDagger.mp3Podcast: Play in new window | DownloadWhile Father Delgado gives a lecture about the hero’s journey, Tyrone, Tandy, and Detective O’Reilly live it! Ben and Stewart explore the actions our “heroes” take and what it means for their future in this, the penultimate episode of season one of Cloak and Dagger! 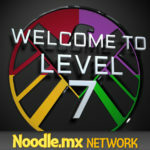 http://media.blubrry.com/w2l7/p/media.blubrry.com/noodlemx/p/welcometolevelseven.com/wp-content/podcast/WTL7_263CloakDagger.mp3Podcast: Play in new window | DownloadCloak and Dagger wander into a Star Trek episode! They also continue the MCU TV tradition of HALLWAY FIGHT SCENES! It’s a perfect storm of superpowers, sci-fi ideas, and budding teen romance! 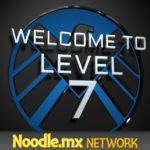 http://media.blubrry.com/w2l7/p/media.blubrry.com/noodlemx/p/welcometolevelseven.com/wp-content/podcast/WTL7_262antwasp.mp3Podcast: Play in new window | DownloadAnd now . . . the sequel to Ant-Man an the follow up to Infinity War has arrived! Ant-Man the Wasp is here!